The name Caxton is probably derived from ‘farmstead of a man called Kakkr’. It was spelled Caustone in the 1086 Domesday book when 35 peasants lived there. It is probable that the village came into existence as a late Scandinavian settlement in an area of woodland. The use of the names ‘weald’ and ‘wald’ in the 12th century indicate the influence of woods. 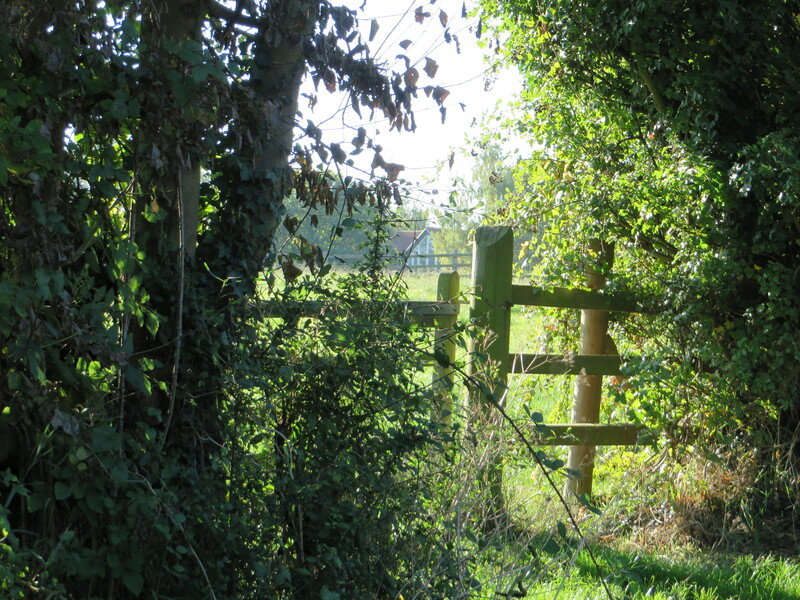 What was the Roman Ermine Street, now the A1198 road, bisects Caxton parish. The modern village has grown up around the road, although the church is a short distance south-west, along Gransden Road. 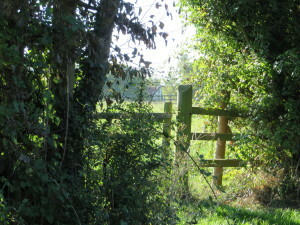 There are also three medieval moated sites further from the road: Caxton Moats, which has signs of Anglo-Saxon or Norman occupation; Caxton Pastures, south-west of Caxton Gibbet, which may have belonged to John of Caxton, a 13th-century landowner; and Swansley, south-east of the gibbet. St Peter’s Street, north and east of the church, may have been the centre of the original village. The road provided passing trade; the market was held next to it and the Crown and George inns were built there. 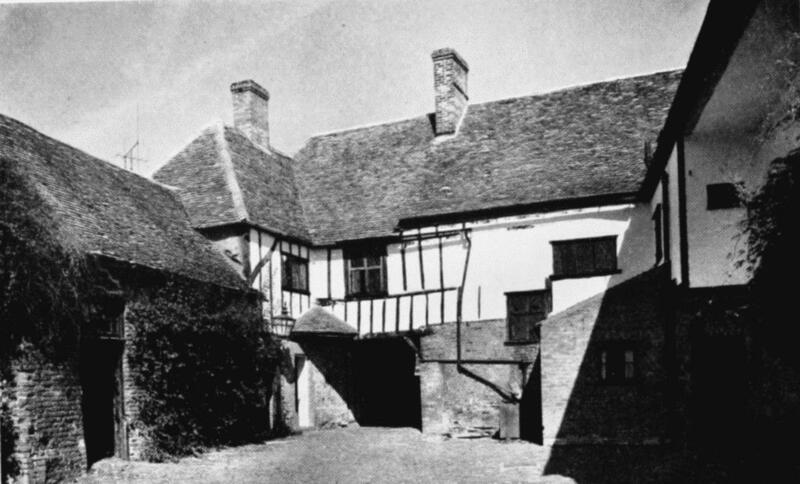 Parts of the Crown inn date from the 15th century and it was known by that name by 1545. Caxton benefitted from travellers passing through but highway robbers could also be a problem. The road became busier after the 16th century and a post office was opened at the Crown inn ‘many years’ before 1660. 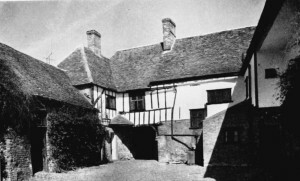 By the mid-18th century, Caxton post office was one of only two in the whole county. After the end of the coaching era, Caxton declined. In 1863, a traveller described the village as “a small, rambling village, which looked as if it had not shaved and washed its face, and put on a clean shirt for a shocking length of time”. Fires in 1896 and 1897 destroyed more than a dozen houses and, although the arrival of the motor car in the 1920s brought traffic back through the village, its former prosperity did not return. 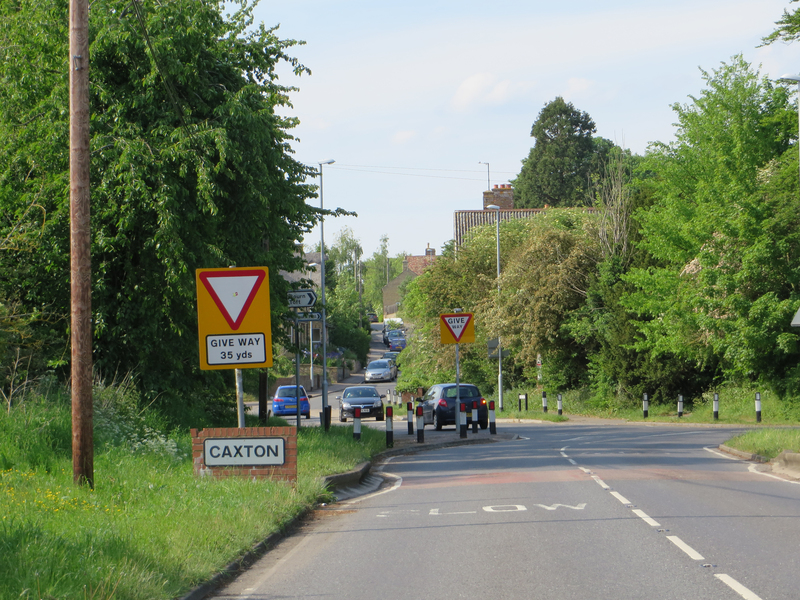 In 2004 a bypass was completed around Caxton to accommodate traffic for the newly built Cambourne to the north.